The Sun Mountain H2NO Pro Stand Bag is the latest edition to the Sun Mountain H2NO bag collection and it does not disappoint. 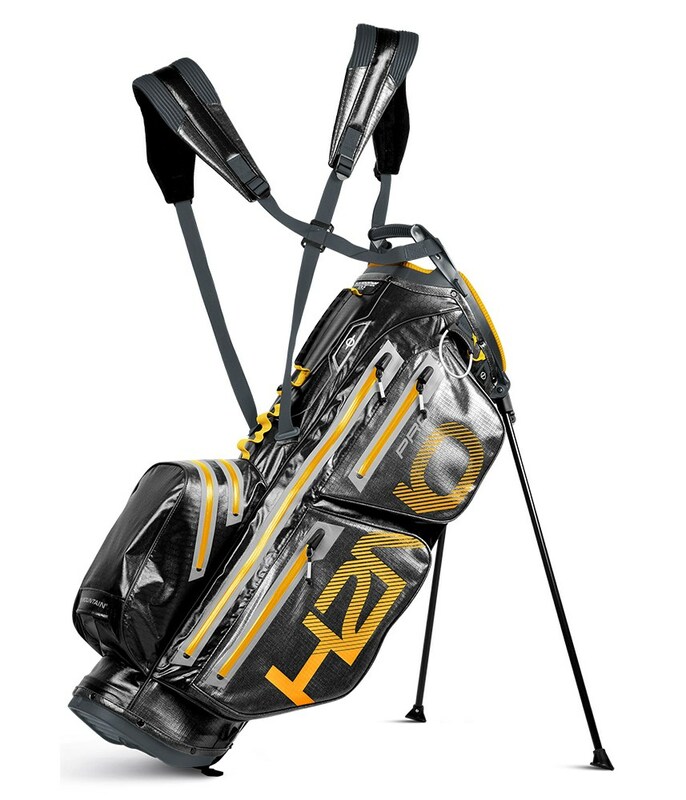 Sun Mountain have created the H2NO Pro Stand Bag to be a hybrid style stand bag that is fully functional being carried or chucked on a trolley. 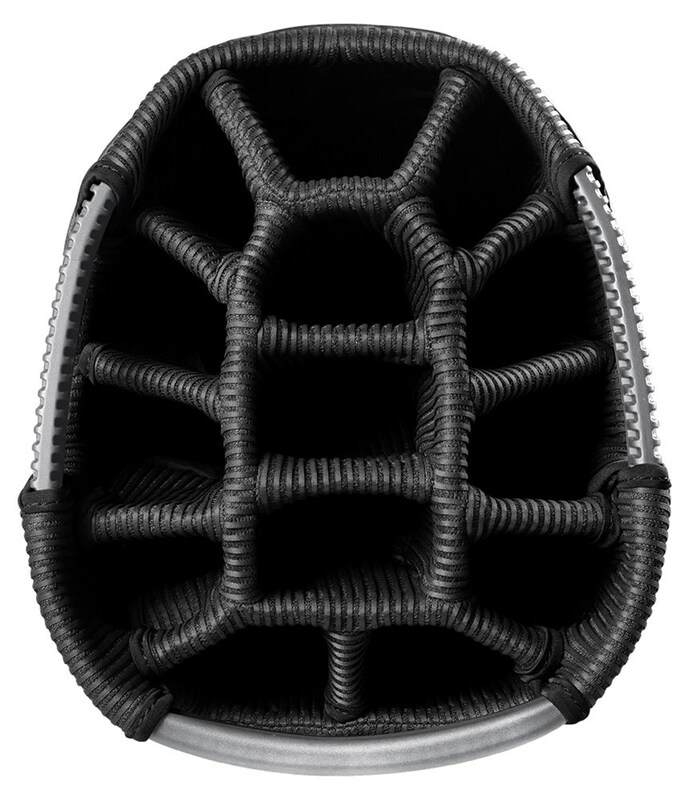 The bag itself features a 14-way, full length divider system with six spacious pockets that maximise storage. 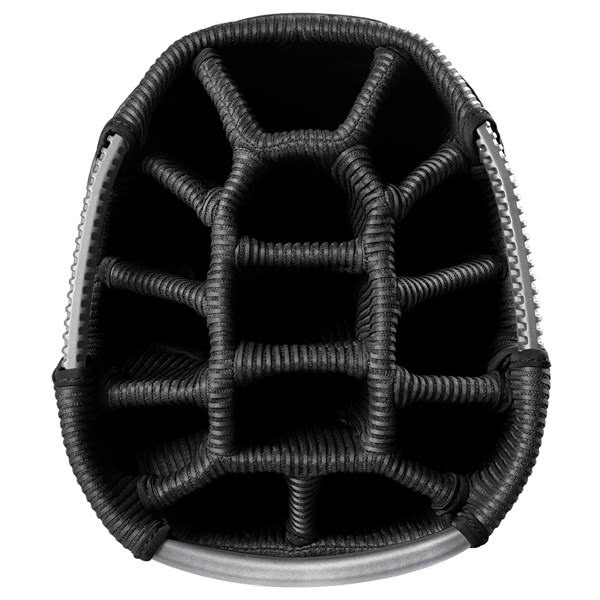 Included in the six pockets is a hydration pouch that is fully accessible when the bag is being carried. To provide the ultimate performance and protection against the elements, Sun Mountain have used a lightweight and durable waterproof fabric which features a taped seam design and high quality water-repellent YKK zippers. The use of their E-Z Fit Dual Strap System provides not only a comfortable carry, but the most incredible balance when loaded with all your clubs and goodies. 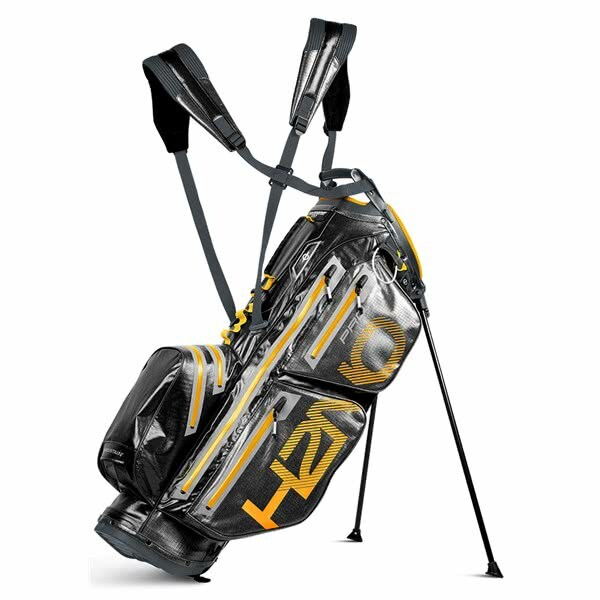 Other features on the H2NO Pro Stand Bag, include a cart-friendly base, velcro glove holder, accessory loop, umbrella holder and a matching waterproof hood.